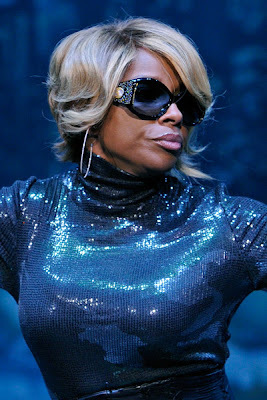 She rocks...but we expect nothing less from MJB! Her shades may be from her new line!!! I like Mary's look and she has a beautiful voice!!! Yes, yes, Mary J. Blige is a BEAST! !